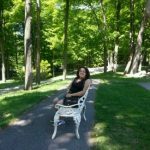 This blog is written by guest blogger Sharlene Amalu. It’s that time of year again where suddenly everything we consume must have pumpkin spice or have a Halloween theme. It’s also that time of year where people go for walks in fall jackets with their pumpkin spice drinks or flavored lip balm where they likely encounter red, brown, green, orange or yellow leaves on trees. 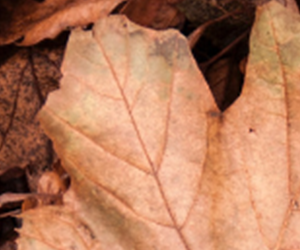 However, why do leaves change colour? 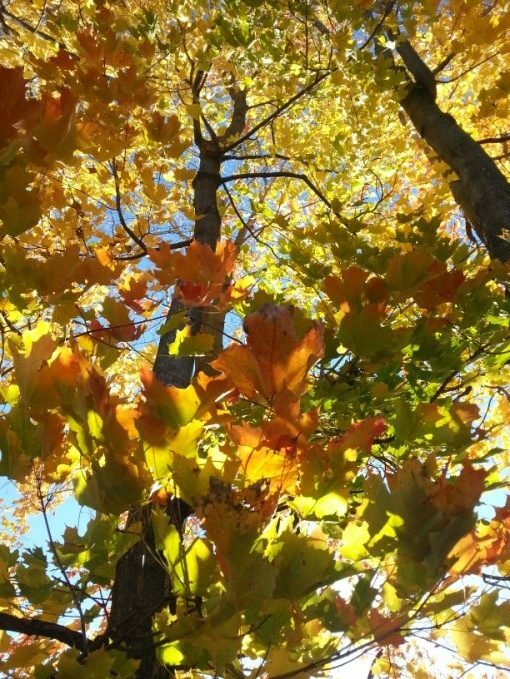 As the season changes from summer to fall, leaves on deciduous trees and shrubs change colour as the changes in the amount of daylight compared to night, temperature and soil moisture influence the process of photosynthesis. Deciduous shrubs and trees, such as maple or oak trees, have leaves that are thin, usually broad and have no extra coating on them to protect them from seasonal changes while coniferous trees, like pine trees, have needles all year round. The photosynthesis process is an energy-to-sugar conversion done by all plants. In this process, the plant cells act as manufacturing plants that transform carbon dioxide and water into oxygen and a usable energy source (carbohydrates) by using the molecule chlorophyll to absorb light energy from the sun. Chlorophyll is a light-absorbing, pigment molecule found in leaves and other plant cells which also gives plants their greenness. As the plant uses the molecule for light absorption, the chlorophyll molecule will be reproduced to continue photosynthesis. But where do the fall colours come from? The other fall colours come from molecules that are either already present and aid in photosynthesis, or they are produced. These pigments gain more prevalence within the cells as night time becomes longer than daytime, and temperatures drop with the soil’s moisture changing, resulting in the amount of chlorophyll produced to slow and eventually stop while other pigments gain abundance. Carotenoid pigment molecules are always present within the cells and are usually masked by chlorophyll until the green pigment is no longer abundant, displaying vibrant orange while another pigment molecule, xanthophylls, displays yellow leaves. Tannins are produced in most plant parts and results in a brown colour, normally associated with plant death. 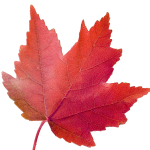 Anthocyanins lead to the characteristic red and blue pigments that maple leaves are known to have. This pigment is produced using sugar in the leaves which becomes trapped when an abscission layer, a layer of loosely attached cells, forms between the base of the leaf stalk and the branch, hindering the transportation of nutrients. If the wind blows, the leaf will fall off the tree. Some research has suggested that the changes in leaf colours are used as a way to deter insects from laying eggs on their leaves in the fall, thus protecting trees from possible viral, fungal, or bacterial infection or damage from insect infestation. Some research has also found that the change in colour could also aid in the plants preparation for the next growing season by acting as sunscreen for the plant’s photosynthesis components so the plant can continue to collect resources from the leaves and store them within the branches or roots. There are more, not well studied hypotheses for why colour change happens, and they can be read here if interested. Fall is one of the best times to enjoy the outdoors, click here to see which national park you want to visit if interested.